In my previous post I demonstrated how you create breadcrumbs from Notes view in Twitter Bootstrap. A typical Notes application contains an outline (I assume you don’t the Navigator design element anymore). 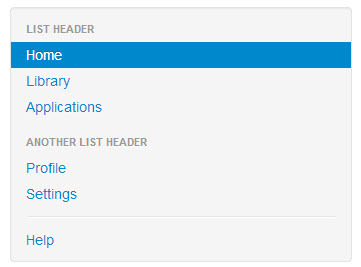 In this post I demonstrate how to create something similar in Twitter Bootstrap, a Nav List. A Nav list is a simple and easy way to build groups of nav links with optional headers. They’re best used in sidebars like the Finder in OS X. You can nest nav-lists and then they come quit close to categorized or hierarchical structured documents (e.g. parent & response). As a start database I used Mark Leusink’s Bootstrap4Xpages demo site which you can download here. I found an example code for nesting lists on Fiddle. Note that you can extend nav-list with mouse over behavior but I fear for mobile phones and tablets this will be a crime. In order to make it look nice embed the computed field in div element and give it a span class. You notice directly an obvious problem: the long title references which are typical for Notes documents. A class I did not use for the LI element is nav-header. This gives a nice outstanding header, which are great for categorized views. A class I did not use for the LI element is active which highlights a list item. When using the nav-list on documents opened via an XPage I guess it is best practice to add the class name when the document is ready on the client. The HREF attribute is not computed but this can be extracted from the viewentry. Performance. The view above contains very little documents. I still have to test it with larger databases. Some examples where I want to use the nav-list contain more than 15000 documents in the view. 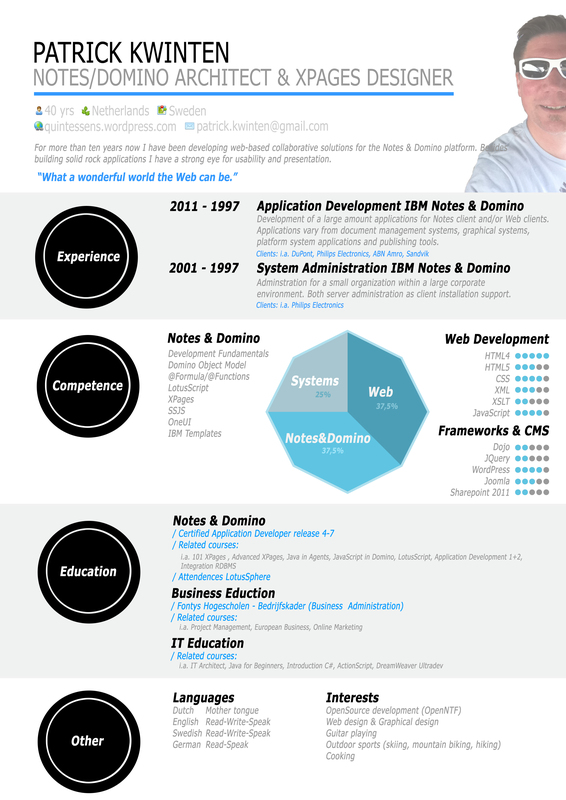 I wonder how much I can use sessionScope or place the HTML in a profile document. Any suggestions here are welcome. Beside DDE is used heavily NotePad++ to check the generated HTML. Looking for a creative brain? Choose me! If you have 15000 documents (and use a ViewNavigator with the caching set properly), I suspect you would at least use as much time downloading the generated html as you would reading the view, if not more. Profile documents are not reliable, and sessionScope is pr user, as long as the data doesn’t change (too much), applicationScope can be used, but you need to syncronize the write if you generate the data on request. If you have the possibility to use something like EhCache on your server, this is the best option. Thanks for your thoughts Björn! 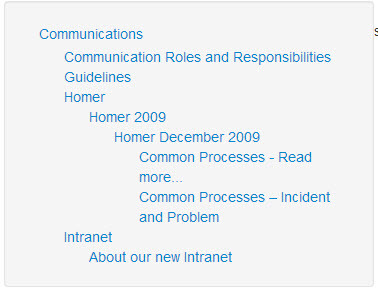 The main problem is that most intranet sites contain too many levels of information. More than 4 levels is not uncommon (that’s why users hardly find information). And editors don’t with abbreviations e.g. A&T for “Architecture & Technology” cause people would not understand them (I agree. BYOD stands for Bring your own developer?). The Notes model of deeply nested views are a great way of organizing lots of information, but a pain on the web (as it doesn’t translate very well), as you know. Good search helps, and “flattening” the views (for example by pulling the TOC (aka categories) out of the view) helps too. A way to approach this is maybe to show 1 (+1 open?) level at a time in the TOC, and enable navigation “back” trough use of breadcrumbs. People seem to like (and understand) breadcrumbs. When translating from a “classic” Notesapp to the web, sometimes a different approach to the presentation is needed for best results.